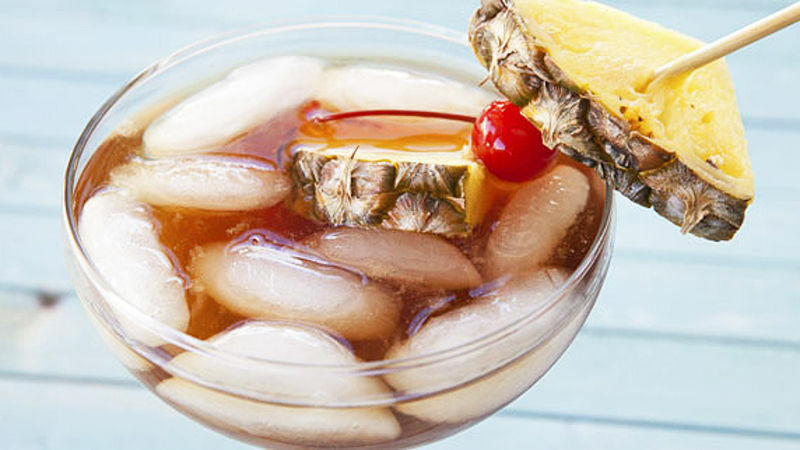 Add dark rum and light rum to a large glass with lots of ice. Layer in pineapple and pomegranate juice. Top with ginger ale, grenadine and if you want a little extra kick, top with a 151 proof rum. Garnish with pineapple and cherry. Drink it up!